The Ex-Convent now includes the Regional Museum of Oaxaca with historic artifacts and exhibits from Monte Alban, the Spanish conquest, and Oaxaca’s history. The sections of the Ex-Convent which house the museum can easily take several hours to cover, so be prepared to do a lot of walking. The Oaxaca Cultural Center also houses the Burgoa Library which contains 18th and 19th century texts for researchers interested in the history of Oaxaca. 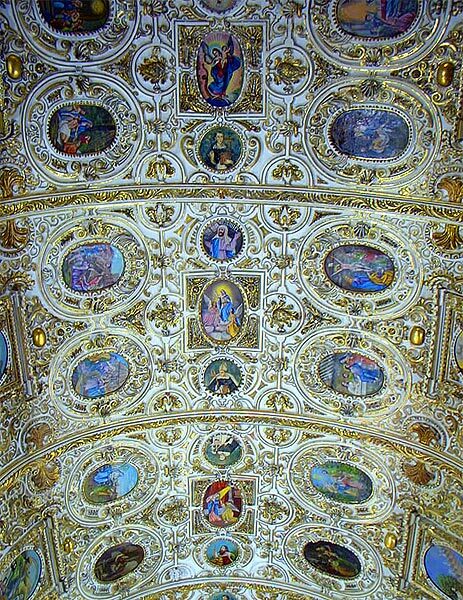 No matter what your religious denomination, everyone agrees that the Church of Santo Domingo is a work of art. 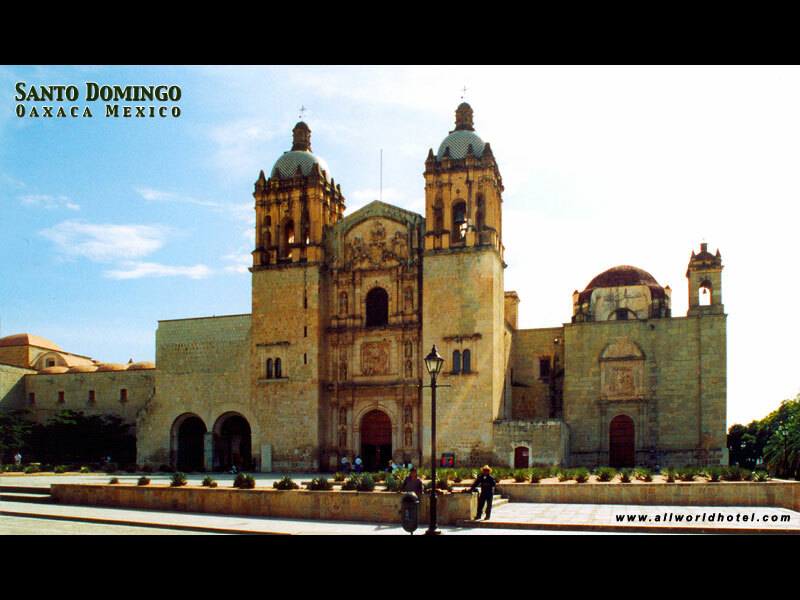 The Church of Santo Domingo was built on a grand scale with walls in some places as much as 10 meters thick. 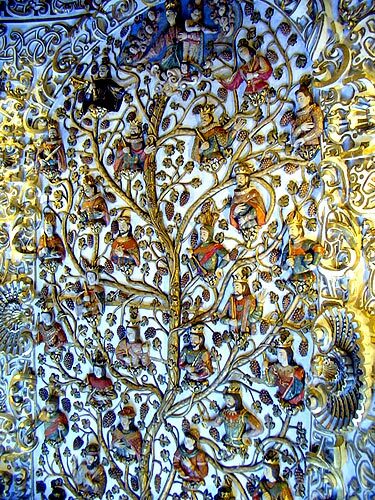 For two hundred years the best masons, sculptors and artists were employed in the construction of Santo Domingo, and it shows! Construction of Santo Domingo began in 1572 and continued steadily for over 200 years! 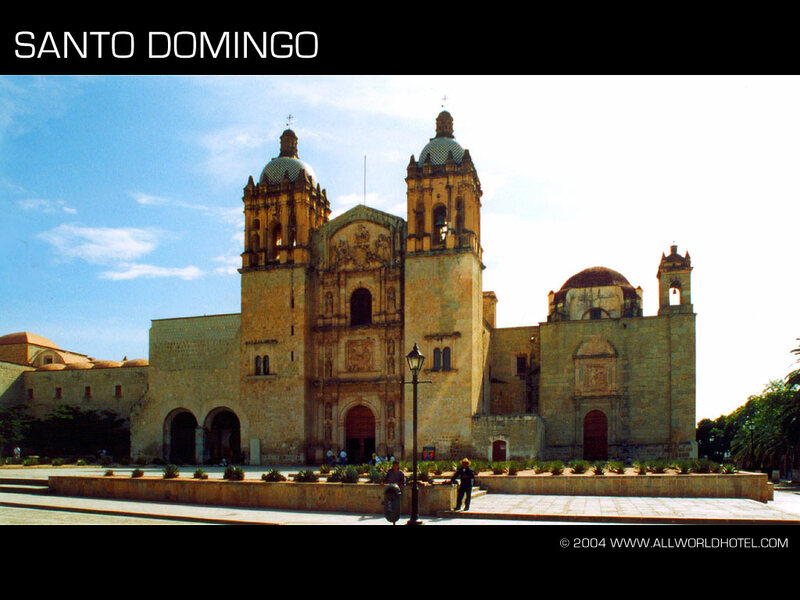 When you approach Santo Domingo, you will see the entrance to the Church of Santo Domingo on the Right, and the entrance to the Oaxaca Cultural Center on the left. 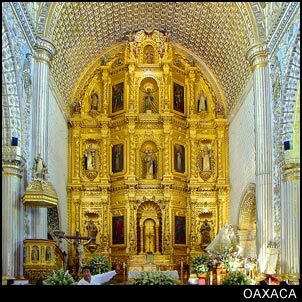 If you are in Oaxaca, Santo Domingo is a MUST SEE!. You will find that the church and Museum will take a few hours to explore, so plan on spending a morning or afternoon at Santo Domingo. 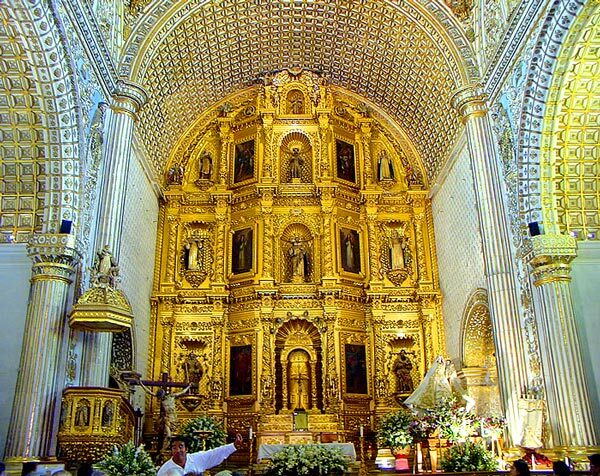 Click to enlarge pictures of La Iglasia de Santo Domingo . . .